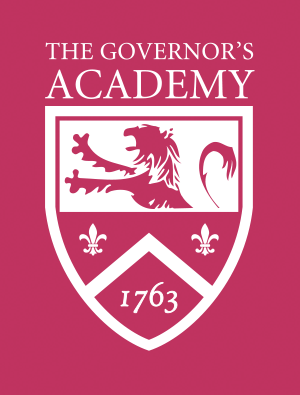 Faculty members at The Governor’s Academy are some of the most interesting, passionate people you will meet. They include editors of award-winning journals, National Science Foundation grant recipients, nationally recognized artists, an Olympic rower, and a best-selling author. As mentors, teachers, coaches, and dorm parents, they truly know each student and are a continuous source of inspiration and guidance. Governor’s has 88 full-time faculty members, including 67 percent with advanced degrees and several with terminal degrees, including the Ph.D., D.O., Ed.D., and J.D. More than 70 percent reside on campus, and the average tenure at Governor's is 14 years. To view a list of our faculty, year of appointment, and completed degrees, please click here (as of September 2018). Our online faculty/staff directory is available here. Below are faculty profiles that have appeared in The Archon, the school's alumni magazine. Teachers are selected based on years of service at the Academy. Elizabeth Ruhl, M.Ed., N.C.C., C.A.G.S., L.M.H.C.